Good Monday morning Beauvoir Buddies! I hope you had a great weekend. This is going to be a short week for us since you don’t have school on Friday, so let’s make it a rewarding one. 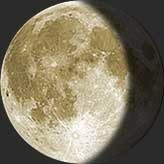 Last night, I looked up in the night sky and noticed something very interesting about our moon. This week, it started waning. Do know what that means? Waning is not a word we hear very often, but I think you might be able to use your incredibly sharp brain to figure it out! When a moon is waning, it is doing something very special with our sun. 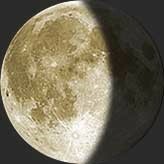 See if you can figure out what a waning moon is doing by looking at the photos below. The photos below tell us what the moon will look like in our evening sky this over the next few days. What do you notice?